Here you'll find all the files, resources and videos to accompany issue 246 of 3D World magazine. To download the accompanying files for 3D World issue 246, simply click the link corresponding to each article and a zip file will automatically download the content to your Mac or PC. 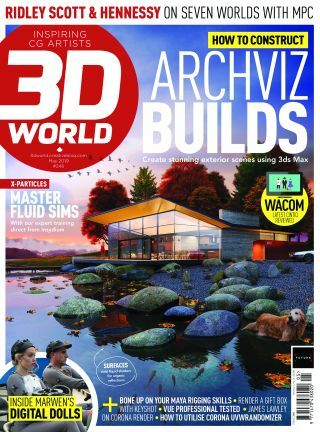 If you've missed this issue or other editions of 3D World, order a copy or start a subscription. Tutorial: 3dsMax - Build our cover scene!